"It isn't a real smartphone leak until we see press renders of the device by Evan Blass," that's how the saying goes, doesn't it? Well, Evan has tweeted an image of what seems to be the Galaxy Note 5 posing with its pen, right next to the Galaxy S6 Edge Plus. The image confirms what we have already seen, more than once, of both devices. They'll have the same screen size, at 5.7" with a 2K resolution, and will likely be decked with an Exynos processor (though there's a rumor the S6 Edge Plus may run a Snapdragon), 4GB of RAM, and 32GB of internal memory on the lowest tier. A fingerprint sensor on the home button is almost a given, as well as a 16MP camera akin to the Galaxy S6 and S6 Edge. 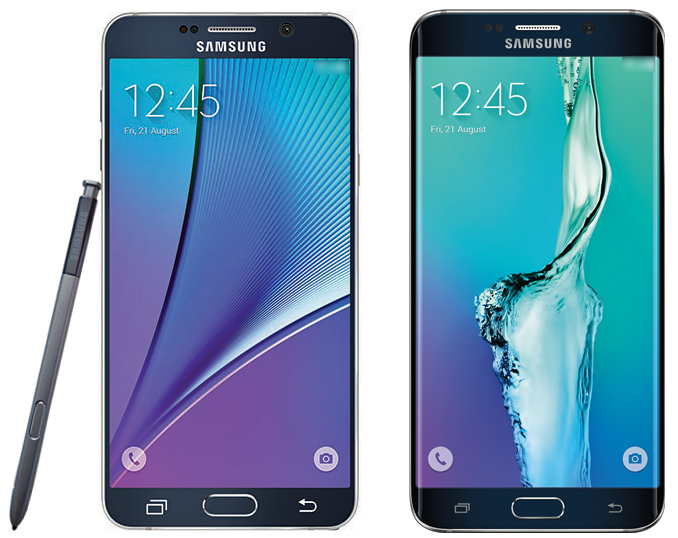 The Note 5 will continue the family tradition of carrying an S-Pen, and the S6 Edge Plus will have the curved screen of its smaller brother. Both devices have already cleared the FCC and are expected to be announced on August 13th, during an event in New York City, so we'll know more in less than 2 weeks.